This morning , I went to see how the lines are for the iPhone 5s and iPhone 5 c launches in apple stores and retail partners like AT&T , Sprint . 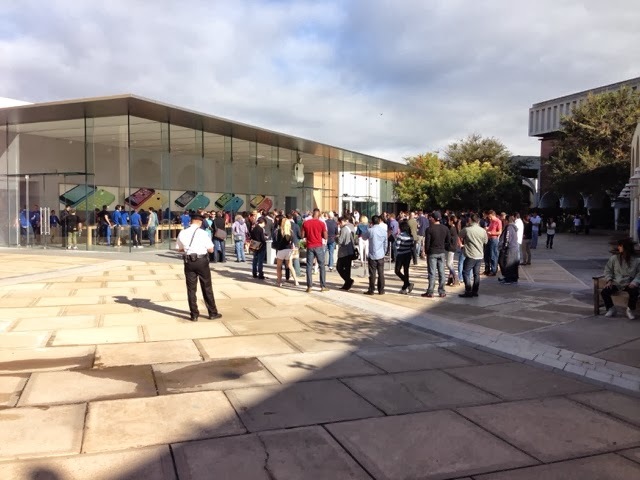 At apples new Stanford store the line was Disneyland length . So I went to AT&T store . 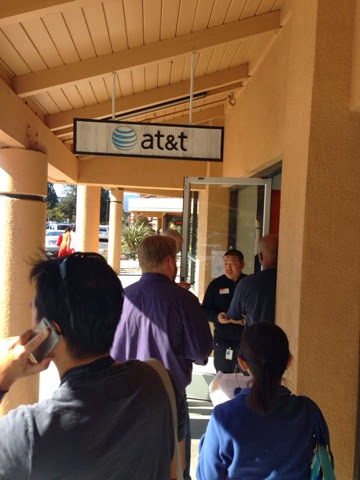 Despite no color options being available at carrier stores , there was a line of 20 people outside the AT&T store . There are 24 sales reps working the launch . The reps said that the first person in line was last night around 1 am . AT&T takes these launches seriously . 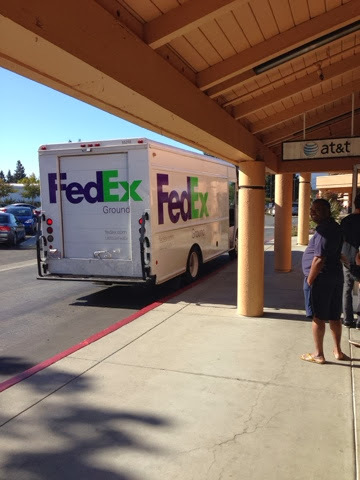 They even had a truck arrive with more . Real time resupply line . They are also sold out of the 16 GB iPhone 5 S .